The legend of Senhora da Penha says that one day when a shepherd was guarding the flock, he saw a group of malefactors who planned to rob him of the sheep. Having at that time invoked Our Lady who appeared to the shepherd mounted on a little donkey, whose footprints still today can be noticed in the granite, turned the day into night, thus preventing the theft was consummated. 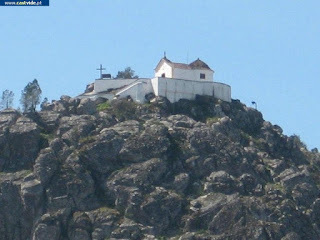 The people of the village, seeing that in the mountains it was night and later knowing what had happened, decided to build a chapel to Senhora da Penha. He chose the site of Pouso, located at the foot of the mountain. 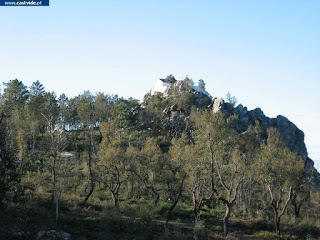 But every time the works were started, they were mysteriously destroyed, and the people of Castelo de Vide came to stand guard at night to prevent such destruction which did not result. 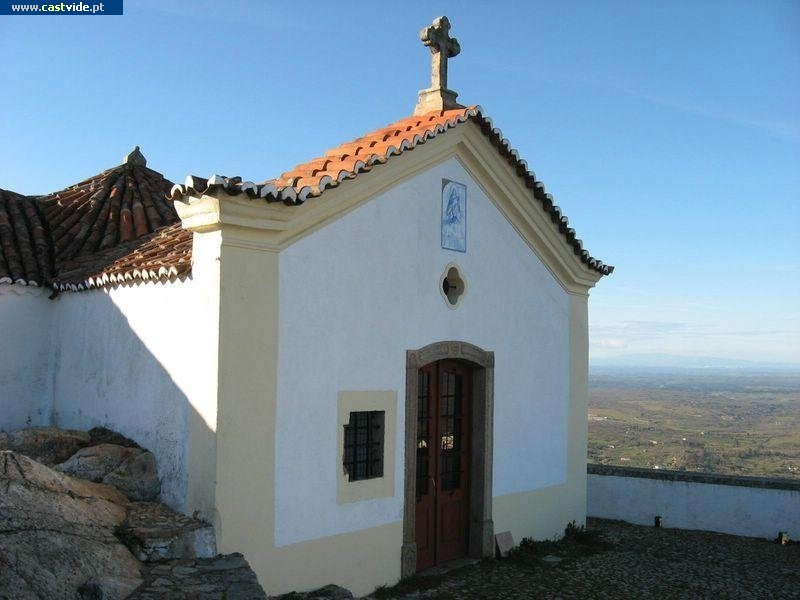 It was only when the chapel began to be built at the place of the apparition that it was possible to complete it, and so it soar, look at the village. 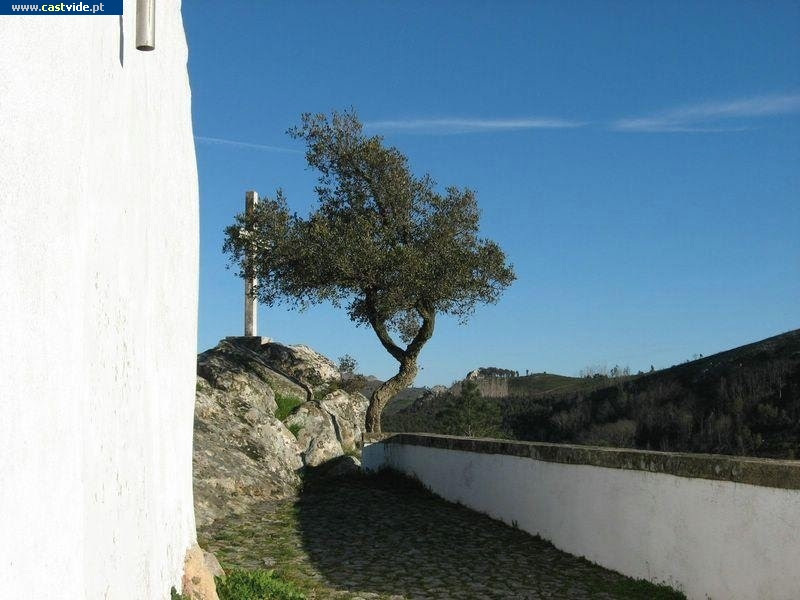 This church dates back to the 16th century. XVI. 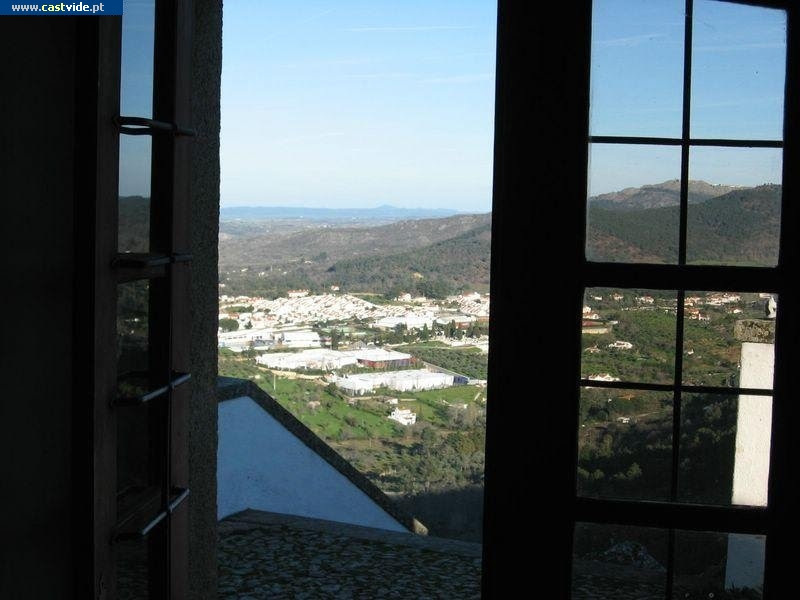 It is located at the top of the São Paulo mountain range, 1 km south-west of Castelo de Vide. On the way up to the Chapel of Nossa Senhora da Penha, there is a stone seat, on the left side of the access staircase, where everyone will sit to say a block that the elders sang: "Little Chair of Our Lady,Chair of my good;Where did Our Lady sitI sit down too "
Tell the people that those who sit on the chair, lift their feet off the ground and ask for three wishes and not reveal them to anyone, those wishes would be granted. This church dates back to the 16th century. XVI. 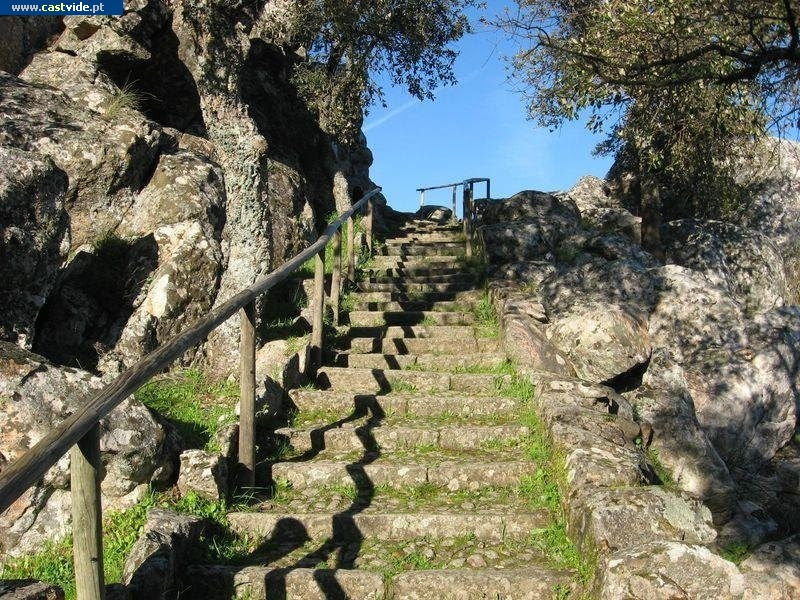 It is located at the top of the São Paulo mountain range, 1 km south-west of Castelo de Vide. Its set consists of three volumes: nave, chancel and sacristy. The nave is trapezoidal, the ceiling is in vault of cradles and it pulls out of a straight cornice. 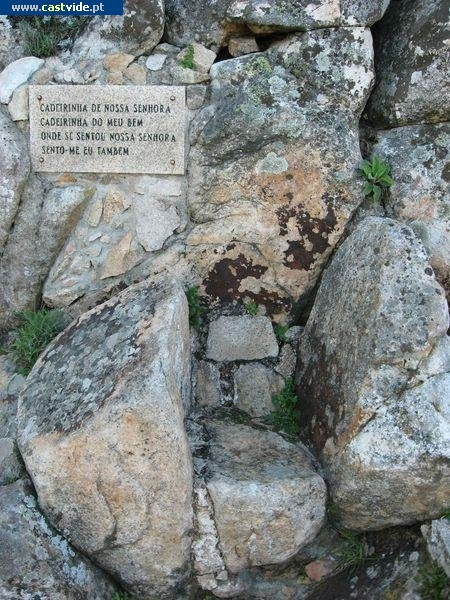 On the north wall there is a niche and a marble sink for holy water. On the west wall opens the triumphal arc of perfect return with a barred iron door, which communicates with the chancel. 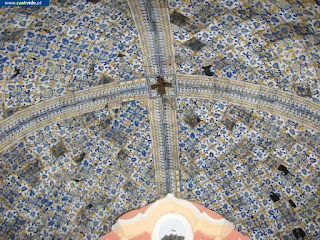 All the walls are lined with white tiles until the vault starts, next to the ground there is a skirplate of blue and white tiles forming chess. The main chapel is circular, the ceiling is a semi-spherical dome. 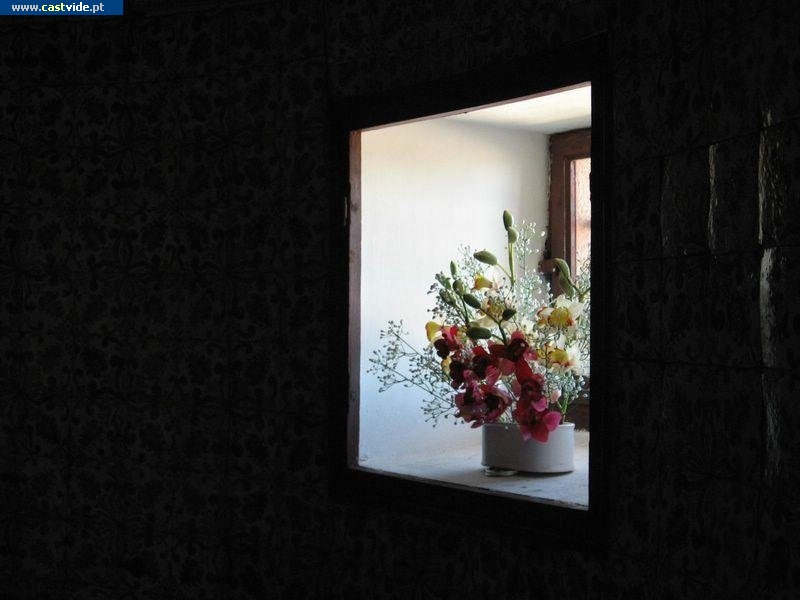 On the north wall there is an opening for illumination and on the opposite wall the access to the sacristy. The altar is placed in the West wall, it is of baroque style with a niche in the center that contains the image of Senhora da Penha. The whole set is tiled. The main façade opens three spans: the main door, a barred partition on the left, and a door in the shape of a four-leafed clover, surmounted by a panel of tiles representing Senhora da Penha. 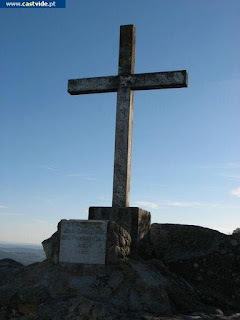 At the top of the pediment is a granite cross. 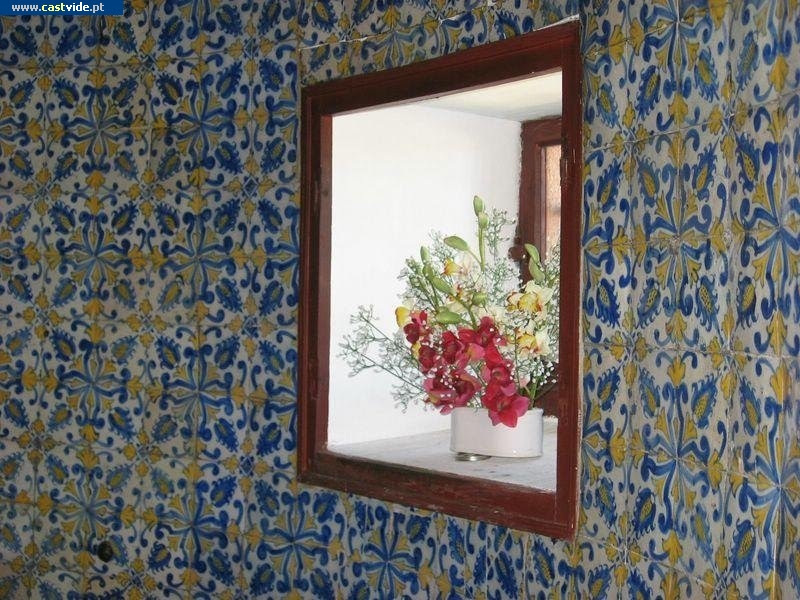 The chapel of Nossa Senhora da Penha, with its church of Nossa Senhora da Alegria and São Tiago, is a testament to the taste for this type of ceramic application, with patterns very similar to each other , in the village of Castelo de Vide. Reza a lenda da Senhora da Penha que, andando certo dia um pastor a guardar o rebanho, viu um grupo de malfeitores que planeavam roubar-lhe as ovelhas. Tendo nessa altura invocado Nossa Senhora que apareceu ao pastor montada num burrinho, cujas pegadas ainda hoje podem notar-se no granito, transformou o dia em noite, impedindo assim que se consumasse o roubo. 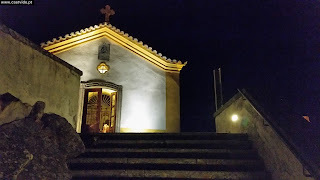 O povo da Vila, vendo que na serra era de noite e sabendo posteriormente o que tinha acontecido, resolveu edificar uma capela à Senhora da Penha. 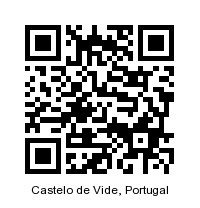 Escolheu para o local o sítio do Pouso, situado no sopé da serra. Mas cada vez que as obras eram iniciadas, eram misteriosamente destruídas, chegando o povo de Castelo de Vide a montar guarda durante a noite para impedir tal destruição o que não resultou. 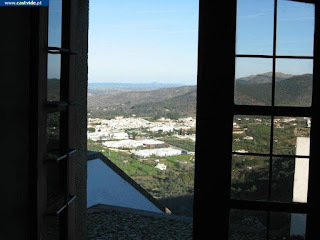 Só quando a capela se começou a construir no local da aparição é que foi possível completá-la e assim altaneira, olha a vila. 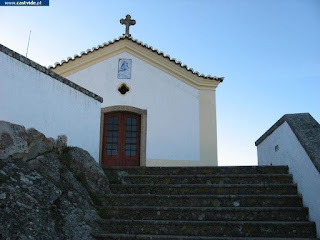 Esta igreja remonta ao séc. XVI. Fica situada no cimo da serra de São Paulo, a 1 km para Sudoeste de Castelo de Vide. Conta o povo que quem se sentar na cadeirinha, levantar os pés do chão e pedir três desejos e não os revelar a ninguém, esses desejos seriam concedidos. 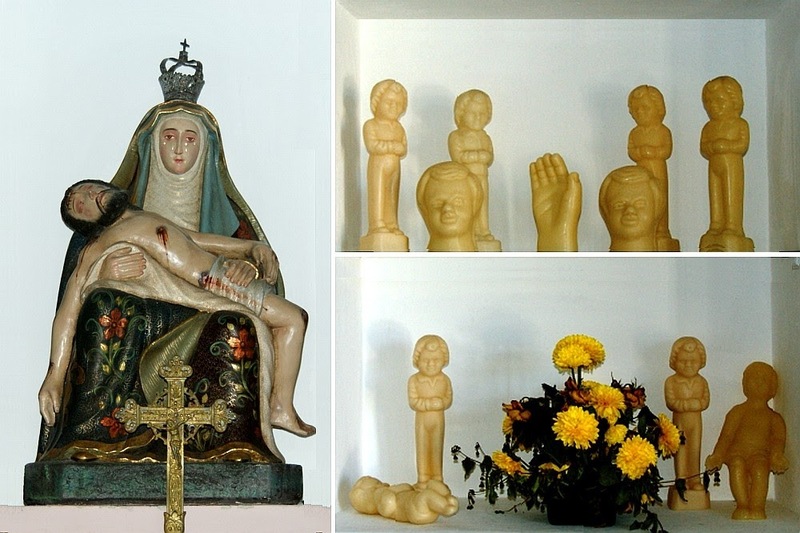 Esta igreja remonta ao séc. XVI. Fica situada no cimo da serra de São Paulo, a 1 km para Sudoeste de Castelo de Vide. O seu conjunto é constituído por três volumes: nave, capela-mor e sacristia. A nave é trapezoidal, o tecto é em abóbada de berços e arranca de uma cornija recta. 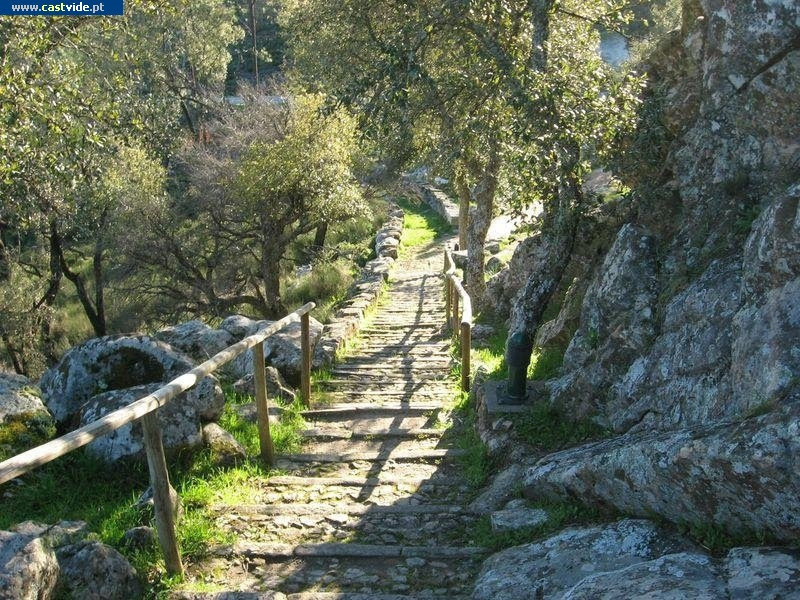 Na parede Norte há um nicho e uma pia em mármore para água benta. 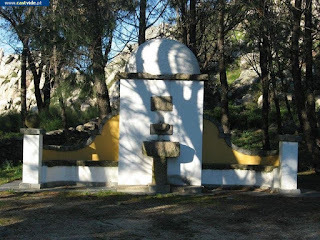 Na parede Oeste abre-se o arco triunfal de volta perfeita com uma porta gradeada em ferro, que comunica com a capela-mor. 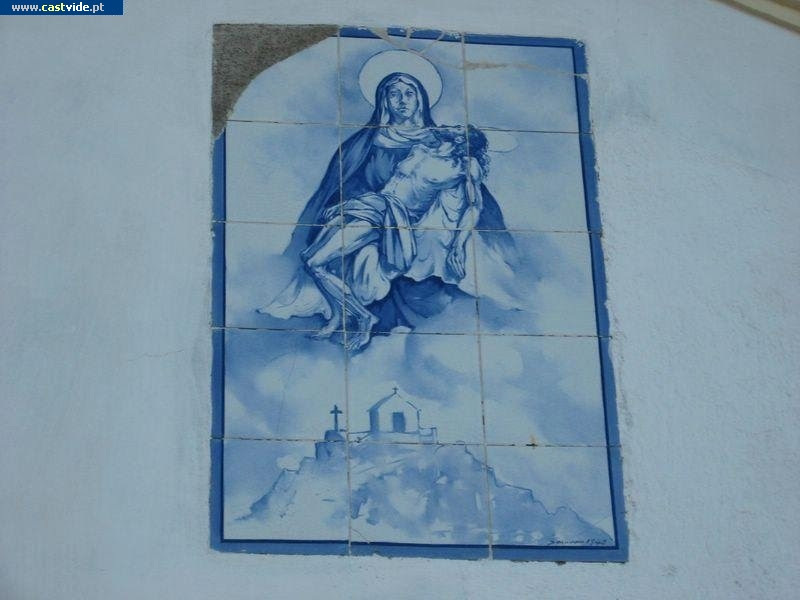 Todas as paredes são revestidas a azulejo branco até ao arranque da abóbada, junto ao solo há um rodapé de azulejos azuis e brancos formando xadrez. A capela-mor de planta circular, o tecto é uma cúpula semiesférica. 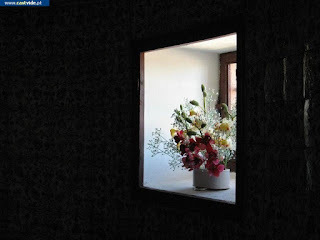 Na parede Norte abre-se uma fresta para iluminação e na parede oposta, o vão de acesso à sacristia. 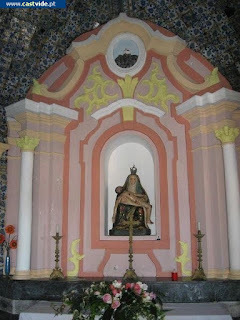 O altar está colocado na parede Oeste, é de estilo barroco com um nicho ao centro que contem a imagem da Senhora da Penha. 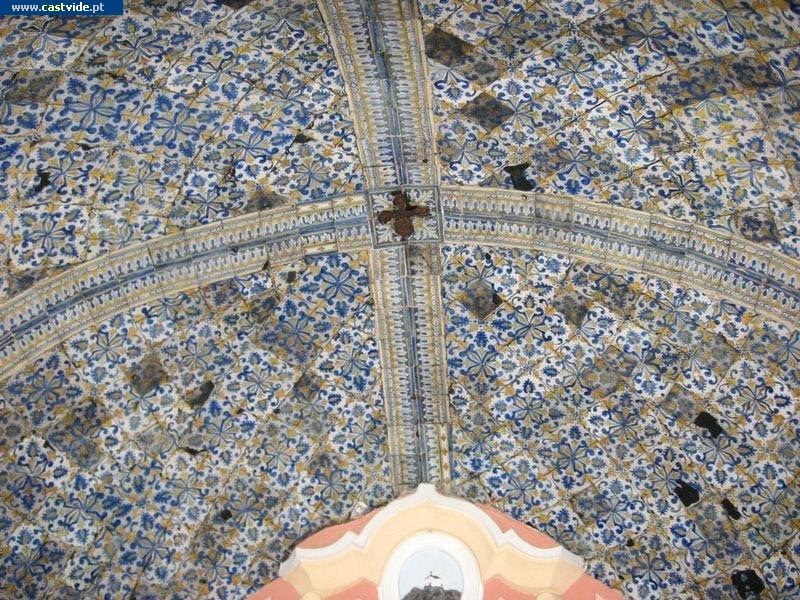 Integralmente revestida por azulejo de padrão do século XVII, a Capela de Nossa Senhora da Penha constitui, com a Igreja de Nossa Senhora da Alegria e de São Tiago, um significativo testemunho do gosto por este género de aplicação cerâmica, com padrões muito semelhantes entre si, na vila de Castelo de Vide.